Charged Hong Kong Members' Stories #002. The first even numbered issue brings you one of the most promising pair of Hong Kong. 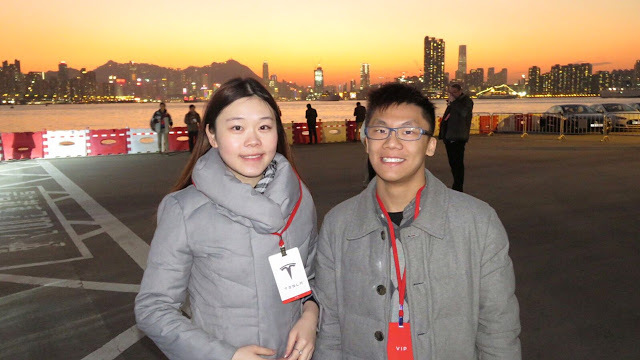 They represent not only Hongkongers' creativity and "can-do" spirit, but also the city's hope for a better present and future. They are Mr. Stark Chan and Ms May Ho, CEO and Marketing Director of a mobile-application-development company, Bull-B. Locky Law(LL): May, Stark, pleasure to have you both here. I think a lot of people know Stark in Hong Kong, but still, could you please remind us how you first become well-known? May too, could you please tell us something about yourself? Stark Chan (SC): I was living in Tuen Man. Electronic and engineering stuff are my hobbies. I used to love dismantling electronic appliances and toys. My parents divorced when I was around 8 years old and that gave me motivation to do well. It was also because of this that my creativity begins to develop. I kept joining science and engineering competition since I entered into Secondary School. In 2004, I invented a robot that applies face recognition technology for security purpose, then I joined Intel - International Science and Engineering Fair (Intel ISEF) in USA with this robot and won a second prize from this event . Because I was the first "overseas Chinese" who got best result in such as international competition, so MIT-Lincoln Laboratory presented a star that is named after my name "Chan Yik Hei Star". May Ha (MH): I'm the only child in my family. I was living at Bridges Street, Sheung Wan when I was small. After 97 financial crisis, my family moved to Tin Shui Wai public housing . I love dancing. I started learning it since I was 13 years old. I can dance Jazz, Hip Hop, Latin and Pole. 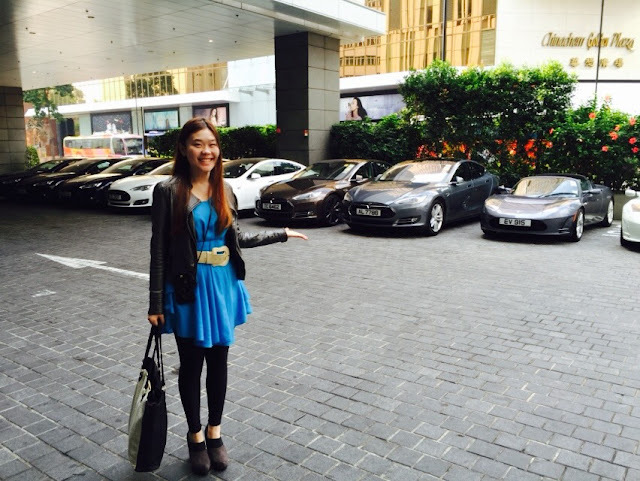 I graduated from Hong Kong Shue Yan University, majoring in Finance. I first met Stark at a church event. Since he wanted to join HKUST entrepreneurship competition at that time, he invited me to join this competition for the business parts. After this competition, we started our business - Bull.B Tech, which focuses on providing enterprise solution through mobile technology. We aim at enhancing customer engagement and enabling enterprises to facilitate their business in digital way. LL: Incredible stories, thank you for sharing. If you don't mind I would like to ask, what kind of apps does your company produce? And any chance that we might see a Tesla-related app by your company in the near future? SC: Our service mainly categorized as Fin Tech, e-commerce , loyalty and membership application. Our solution provided is very comprehensive from front application to back-end system. Recently, we are focusing on electronic applicants development. We plan to make more big idea on difference electronic appliances like apple watch..... We are already brainstorming any possibility to make a Tesla related app on Apple Watch . Will tell you more if we are ready to announce it. LL: Brilliant! I'm sure our members will be very happy to support your app. Well, to be honest, I think this will come as quite a surprise for most of our Charged Hong Kong members that we actually have both of you celebrities as Charged Hong Kong members. Tell us how you got to know about Charged Hong Kong and why you decided to join our big family? MH: It is an honor for us to join Charged Hong Kong. It is an amazing coincidence. Last year, we met one of the members of Charged HK called Lincoln at Cyberport while we were all waiting for Tesla Supercharging. We had a very nice chat there and he introduced us a lot about this charity. He invited us to join and that's what we did. The Charged HK Rally 2015 we joined last year was a very very good experience for us. We did not expect to win any prizes at the event but we did! And we met lots of new friends. LL: Well, I was surprised too when I met you both that day! Too bad I had so much to do that we didn't have enough time to chat. So now is a great time to ask you both, is there a particular area you think Charged Hong Kong should put extra effort in this year, May, then Stark maybe? MH: As members of Charged HK, we should do more on promoting EVs. Such as organizing some overseas tour ( visits Tesla headquarter in US). That kind of event is meaningful, and it also can effectively increase owners' engagement and loyalty. SC: Other suggestions such as meeting with Town Planning Board or CLP, so that we can build up a better relationship with them. Hope it can foster development of public charging and Tesla Supercharging network. LL: As we all know, Tesla’s Autosteer and Auto Lane Change have been approved by the Transport Department of Hong Kong, of course the fact that Elon’s meeting with the Chief Executive CY Leung and the Tesla’s perseverance have done wonders, but I dare say, both of you have contributed to the success as well by bringing up this issue public, and Stark, your comment about Tesla’s Autopilot and Uber was quoted by Apple Daily and earned praises all over internet. Could you tell us when that quote was and what meeting was that you were in when Apple Daily quoted you? 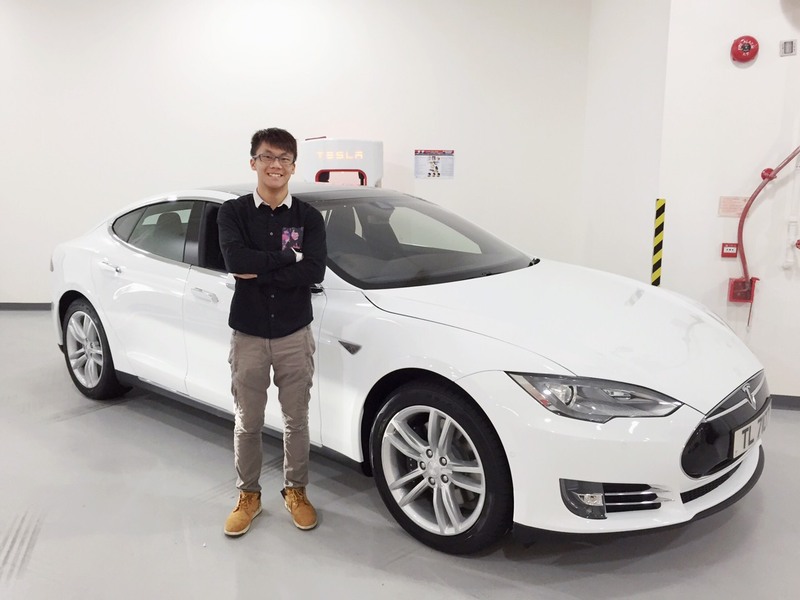 SC: First of all, we are happy for all Tesla owners that Autopilot has finally been approved in HK. I would like to thank M21 for inviting me to the online broadcast program and let me express my opinions. To be honest, I am just a "small potato" in this issue. Really thank the efforts from different organisations like the Innovation and Technology Commission, the media and the Tesla team. Otherwise, Autopilot would not be approved in such as short period of time. LL: And May, as far as I know, you were with Stark in one of the meetings with Elon and our Chief Executive. Both of you were sitting very close to them, am I right? Is there anything you can tell us about in that meeting? Like, did Elon say anything that you can share with us here? MH: This was a very casual talk between Elon and CEOs. There was another chit chat session between Elon and 7 young Entrepreneurs there. Stark is one of them. LL: So actually, that week Elon was in Hong Kong, how many times have you actually met him? MH: We saw Elon twice. One was at Tesla Event, another one was at government house. LL: Any selfies with Elon? Side by side ones? SC: Yes, there is this one we took (below), one on one. LL: That is awesome! Well, I believe you can really say, “Have you met Elon Musk before? I have, I really have,” more convincingly than any one of us in Hong Kong. MH: Hi Hong Kong. We have really met Elon. LL: Haha! Nice! Okay, I think I have asked too much about Elon, let me bring the focus back to both of you. What was the reason you choose to buy an EV and why a Tesla Model S? SC: I'm a tech lover, and this is a revolutionary car for me. MH: This is a perfect car for female drivers. Everything is amazing, of course I believe woman love Autopark so much. Go green, love our planet! LL: How often do you drive the EV now and where do you normally charge the car? SC: We drive it everyday. Since we are businessman and businesswoman, we use it all the time for business meetings and networking events. We charge our car triweekly. LL: Any problems with installing home chargers? MH: Although Stark is living at village house, he still has problem with installing charges. It's because the parking is not located next to the house. LL: Right, final question is kind of an open-ended one: Is there anything else you would like to tell our members and future EV owners? SC: We love Tesla so much and we love meet new friends. Come to join us now. LL: Thank you for your time and thank you for joining Charged Hong Kong! Like I always say to you on a personal level: Hong Kong really needs young and energetic people like both of you! We’ll see you soon on newspapers? SC: Haha. Maybe. Thank you for the interview!